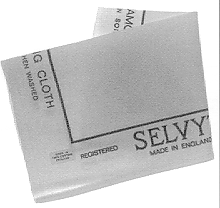 Selvyt Polishing Cloth is an English made polishing cloth that is soft, velvety and has no lint. Used on jewelry, silverware, etc. It will retain its softness even after repeated washings. The cloth measures 14" x 14".